Not everybody can be on vacation! At Crownstone we have been working hard to get everything made! 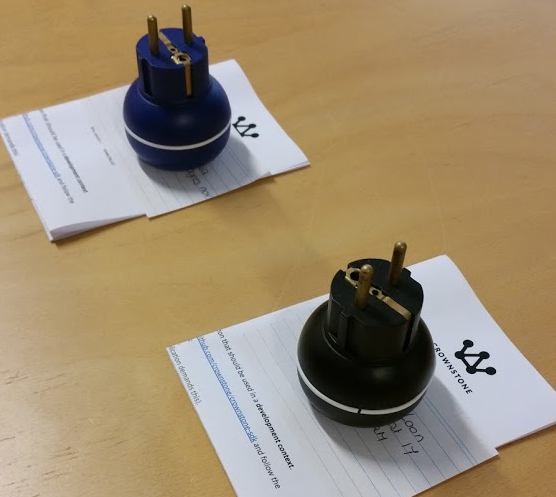 The very first samples - without the full functionality and with a different form factor - have left our premises! We feel sad and proud! One of the new owners is Qurrent, an energy provider in the Netherlands with a green vision. A second party is a promising reseller with a possible first deal of 5000 Crownstones! And a third party is Watty, who raised 3 million last month and would love to roll out many Crownstones in the coming years! Moreover, we are continuously supporting Deerns to get this technology also into offices. The moulds for the Crownstone plugs are being created right now. This is a long and tedious process. Let’s see if we can get some pictures of it for the next update! As we’ve previously communicated, we won’t be able to ship them before the holidays. Expect the first ones to arrive in September! The nice uptake about the longer process is that we’ve a bit more time to upgrade the electronics. 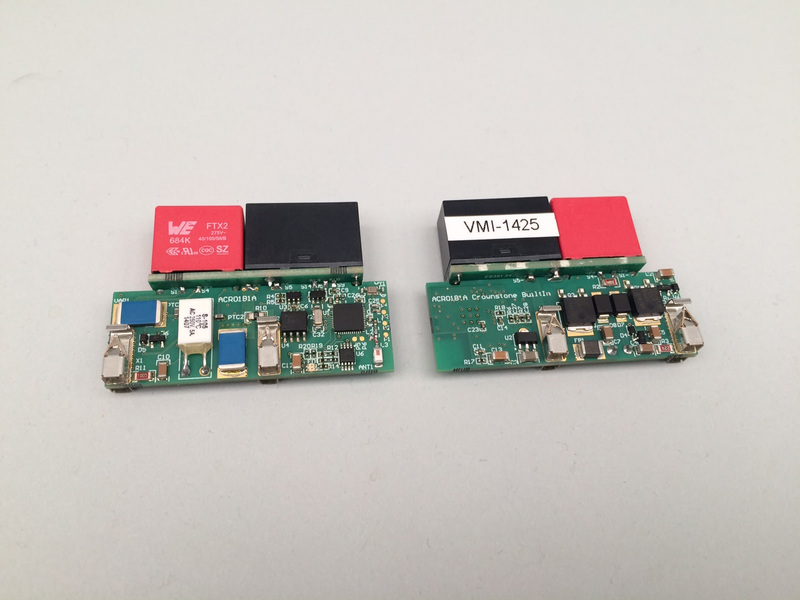 We can use a newer chip from Nordic: one from the nRF52 series rather than from the nRF51 series. It is able to run more things in parallel, such as scanning for eventual fitness bracelets and sending iBeacon or Eddystone messages at the same time to allow your phone to pinpoint the room. As a user you don’t need to know anything of this, we’ll make sure you have state-of-the-art hardware! The Crownstone plug is the most difficult product to create. The built-ins shouldn’t be considered a walk in the park though. We’ve been working together with Van Mierlo with whom we have also collaborated in a drone project, called FireSwarm, at Almende, together with other DevLab partners. If you compare the picture below with the picture on the website, you’ll notice that the nRF module is gone. It is replaced by the radio reference circuit from Nordic. There have been also multiple components added to make sure the board can handle spikes and other challenges on the electrical grid. Using a second perpendicular board we achieve the thinness we were aiming for (10 mm). We wish you all a perfect holiday! Be careful and enjoy your time!